A CB is one of the most important tools for truckers, but sometimes it’s easy to forget why we use them, and that can lead to some major etiquette violations or make other drivers irritated. CB communication isn’t just to give bored truckers something to do. This communication is important as it allows truckers a safe way to communicate with each other and let everyone know about road conditions, traffic, or even call for help in an emergency. Hasn’t technology replaced the CB by now? When it relates to safety, not really, because fumbling around with smartphones on the road is dangerous and the one key action of the CB mic is a far safer alternative. Smartphones will only do you good if you already know the truckers around you, which is a rarity for most drivers. Channel 19 is reserved for truckers and real information that makes their jobs safer. With safety in mind, it’s seems like common sense to not tie up the frequency with unrelated, personal chatter. While that might sound like an unlikely list, most truckers have heard far worse on channel 19. It’s easy to understand why some truckers feel the need to reach out. The reality is, there isn’t anything wrong with it as long as you take those conversations to another channel right away. Requesting information or assistance through the CB radio only does any good if there are other truckers out there willing to lend a hand. If you hear another trucker is in need, help them out. If you needed help or had a question, wouldn’t you be frustrated to hear nothing but silence, especially when you see lots of other trucks around you? That might mean being patient with less experienced truck drivers by inviting them to another channel and nicely explaining what channel 19 is for. Some truckers don’t bother keeping their radio on keep the volume low, unless they need important information or have a real problem. 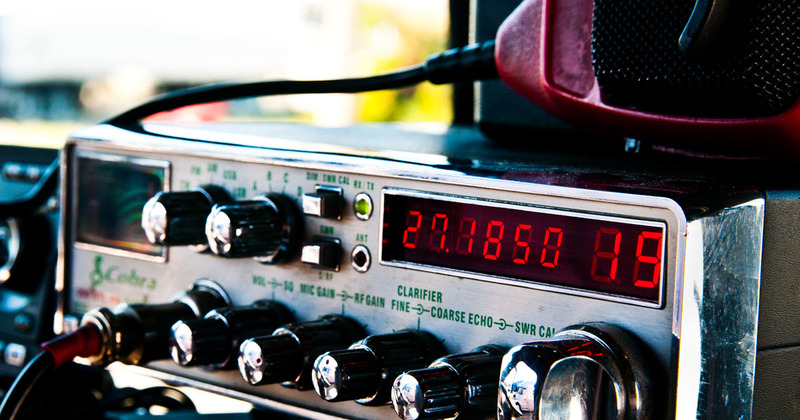 Keeping the radio on and staying tuned in is an unwritten rule that all truckers should adhere to. Consider it a duty to your fellow truckers and yourself. Trucking may be a lonely profession at times, but the trucking community is a tight one and CB radio communication is a big part of that. Treat both with respect, and let’s be safe out there.